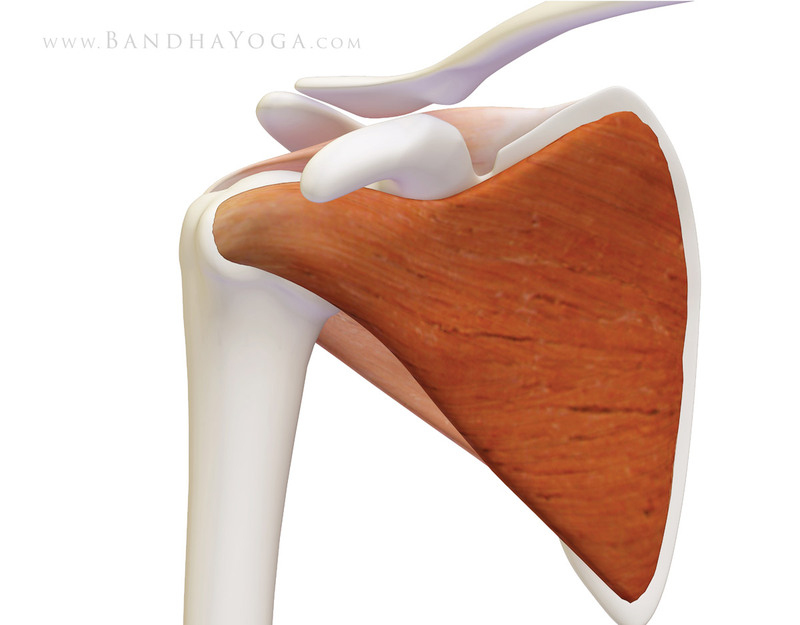 This is the first of a four-part series on the shoulder joint in yoga and ways to keep the joint stable and healthy in your yoga practice. We will focus specifically on the rotator cuff and its biomechanical relationship with the deltoid muscle. Let’s begin by looking at the muscles that comprise the rotator cuff, starting with the subscapularis. As figure 1 illustrates, the subscapularis occupies the space, or fossa, at the front of the scapula. From there it attaches to the lesser tuberosity, a knob-like structure on the humerus bone at the front of the shoulder. Concentrically contracting the subscapularis muscle (shortening the muscle on contraction) internally rotates the shoulder. The subscapularis also acts, in conjunction with the infraspinatus muscle, as a stabilizer of the humeral head in the socket (glenoid). Tightness in the subscapularis can limit external rotation of the shoulder. Figure 1: The subscapularis muscle, illustrating the origin on the inside of the scapula and the insertion on the lesser tuberosity of the humerus. Figure 2 illustrates one of the yoga poses that stretch the subscapularis muscle, namely, Gomukhasana (Cow Face Pose). The upper side humerus externally rotates in this pose, thus stretching the muscle as shown. 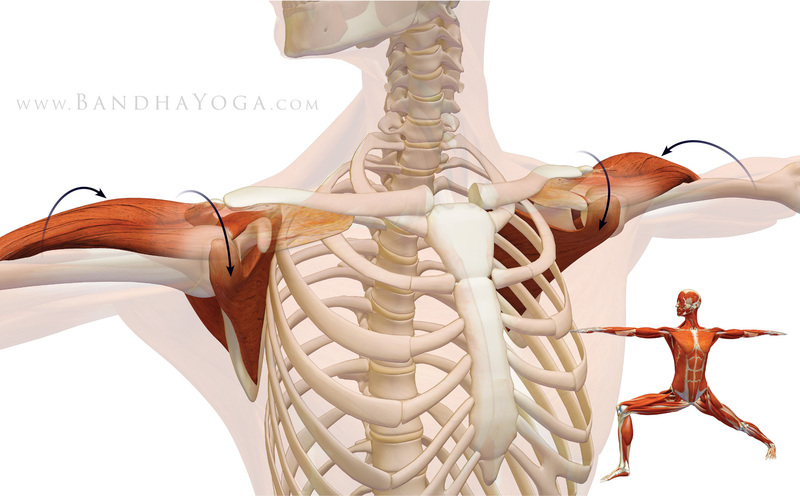 Figure 2: This illustrates the effect on the subscapularis muscle of the upper arm in Gomukhasana. External rotation of the humerus stretches the muscle. 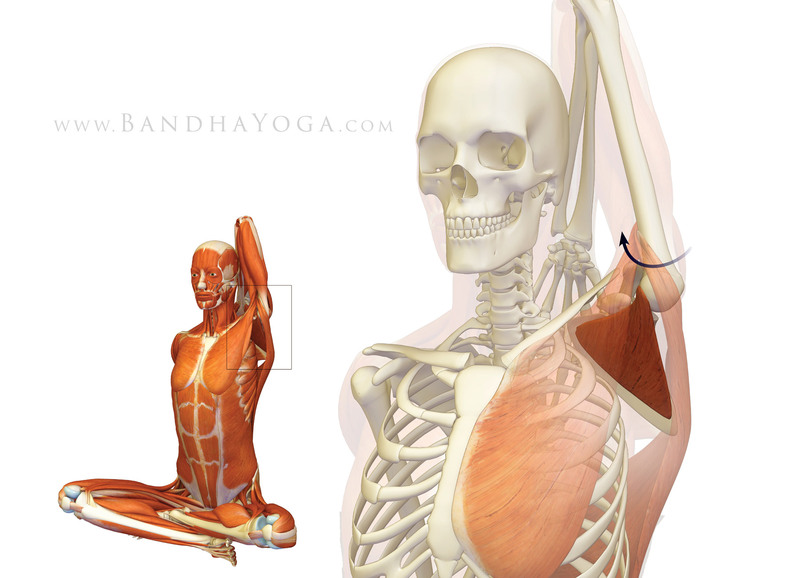 Figure 3 illustrates engaging the subscapularis muscle in Ardha Baddha Padma Paschimottanasana (Half Bound Seated Forward Bend). Advanced yoga practitioners can attempt to lift the hand off the back to engage the muscle in this pose. This also replicates the “lift-off” test, which is used in orthopedics to test the function of the subscapularis muscle. Figure 3: This image illustrates contraction of the subscapularis muscle to internally rotate the humerus. Finally, we have the subscapularis as a stabilizer during a static position in a yoga pose. In Warrior II, attempt to internally rotate the shoulders by imagining pressing the mound at the base of the index fingers down against an object. Resist this by externally rotating the shoulders at the same time. Co-contracting opposing muscles—like the subscapularis and infraspinatus—stabilizes the head of the humerus in the socket while the deltoid contracts to abduct the humerus. Figure 4: Co-contracting the subscapularis and the infraspinatus stabilizes the humeral head in the socket while the deltoid muscle abducts the humerus. Stay tuned for the next post when I'll go over the antagonist muscle for the subscapularis. 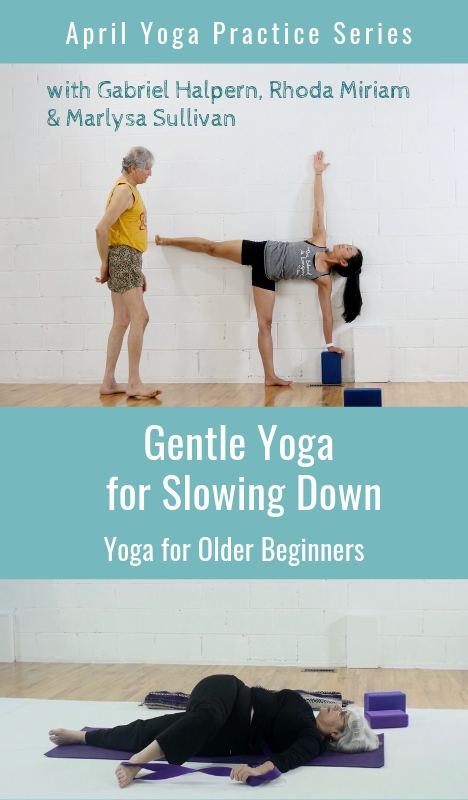 By the end of this four-post series, you'll have a good understanding of the functional anatomy and biomechanics of the shoulder joint as applied to yoga. Another article from YogaUOnline and Dr. Ray Long - Your Glutes and Lats in Bird Dog Pose. Reprinted with permission from Daily Bandha. 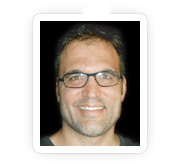 Author, Ray Long MD, FRCSC is a board-certified orthopedic surgeon and the founder of Bandha Yoga. Ray graduated from The University of Michigan Medical School with postgraduate training at Cornell University, McGill University, The University of Montreal and Florida Orthopedic Institute. He has studied hatha yoga for over twenty years, training extensively with B.K.S. Iyengar and other leading yoga masters. 3d Graphic Designer / Illustrator Chris Macivor has been involved in the field of digital content creation for well over ten years. He is a graduate of Etobicoke School of the Arts, Sheridan College and Seneca College. 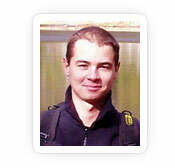 Chris considers himself to be equally artistic and technical in nature. As such his work has spanned many genres from film and television to video games and underwater imagery.